Nominate your Southend sports stars for awards! Southend-on-Sea Borough Council and Southend Primary Schools Sports Association (SPSSA) are asking for nominations for the annual Southend Sports Awards. The awards coincide with the Borough’s 125 year anniversary, and they look to recognise those involved in sports within the Borough, ranging from club members, officials to volunteers and sports teams. Nominations close at the end of Wednesday 18 October and the special awards presentation will be held in Thursday 16 November at the Tickfield Centre. The award categories are Community Hero, Coach of the Year, Club of the Year, Olympic Hopeful, Paralympic Hopeful, Sports Personality of the Year and Young Sports Personality of the Year. Cllr Ann Holland, Executive Councillor for Culture, Tourism and the Economy, said: “As a country, we have a rich history of producing world class sporting talent. It is essential that we continue to offer our time and energy to help develop these sporting stars. “These awards look to recognise the hard work and dedication that individuals and teams across the Borough put in to achieving their sporting goals. All shortlisted nominations will be automatically considered for the Essex Sports Awards. 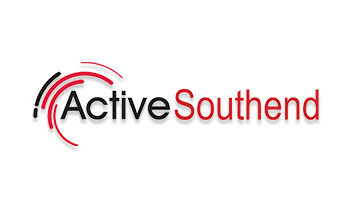 To find out more about the awards, or to make a nomination, visit the Active Southend website, or for a hard copy of the nomination form, please email the Get Active team or phone 01702 215612.